Upon your request, we will send you the materials: cost estimate, available booth locations, rental display system, etc. 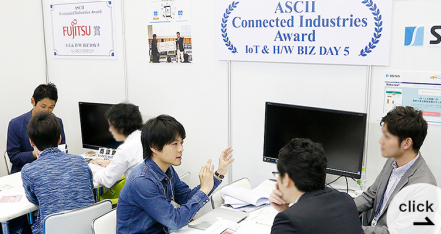 Considering exhibiting, merits of exhibiting, market trends, exhibitors' comments, etc. are available. View exhibition highlights, previous conference program, previous floor map etc. 2019/04/09　"Previous Show (2019)" opened! 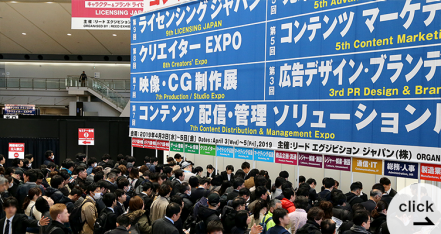 2019/04/08　"Visitor Count 2019" is now available! Trade Show Focusing on Blockchain Technologies! 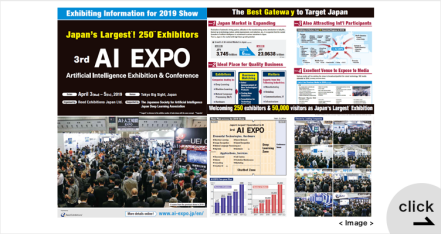 As a concurrent show with AI EXPO TOKYO, BLOCKCHAIN EXPO TOKYO is newly launched in 2020. As one of the new technologies, blockchain is getting more attention from various industries such as logistics, pharmaceutical, energy, manufacturing, and finance. By holding these two shows together, it will create a synergy to attract more professionals from those industries.